Top Ten Tuesday is a weekly meme hosted by The Broke and the Bookish, where you can list any kind of top 10 that is related to books, authors, and reading in general. This week’s topic is Top Ten Underrated/Hidden Gem Books You’ve Read In The Past Year Or So. I’ve noticed that the guys over at The Broke and the Bookish chose to select books they read that have 500 reviews or fewer on Goodreads. Since only a few books I read in the last year meet these criteria, I’ve included a few of my 2015 reads. It offers an interesting insight into the daily life of students in the occupied territories, and because it’s a relatively short one it’s a good option for someone who doesn’t have the time to commit to a longer book. So at the start of this new year I thought it was about time I’d re-evaluate the way I look at reading and my reading habits in general, because of late I’ve been reading less and less and I really miss it. In order to break this cycle I feel I need to make some necessary changes to the way I read. First of all I want to stop setting myself challenges when it comes to reading or, in case I do feel like entering a challenge of some sort, ensure that what I’m trying to do is manageable and with very little to no pressure. This wonderful survey was created by Jamie over at The Perpetual Page-Turner, and it offers a great insight into and overview of your year in books. Sadly I didn’t read that many books this year, so I hope my survey isn’t too repetitive. The problem is that I just didn’t have that many titles to choose from! If you’d like to participate in this survey you can. Just make sure to give credit to Jamie, and you can also link back to your survey over on her blog. Okay so I know I’m a terrible fangirl for not having bought/read this one, but I’m kind of in two ways about it. Some people love it, others hate it, which is why I’ve been a bit hesitant thus far. But I wouldn’t mind finding a copy of it under the Christmas tree! Not exactly light reading, but I saw an interview with her recently which was really interesting and made me want to read her account of living in and surviving Aleppo. I think we can all agree that Gilmore Girls, rather than answering a multitude of questions that have been brewing for the last nine years, actually leaves us with even more unanswered questions than before we started watching the revival. But regardless of intricate plot details and discrepancies between this revival and the season that should not be named, the most irregular aspect of this revival for me was character development. Or in the case of some people, the lack thereof. The one that struck me most was Rory. What has she actually done with her life since we left her nine years ago? Her future seemed promising. She was going to trail the Obama presidential campaign, which we all assumed would lead to the wonderful career as a journalist that she’d always dreamed of. And of course she would have that career, because she’s Rory Gilmore. Right? 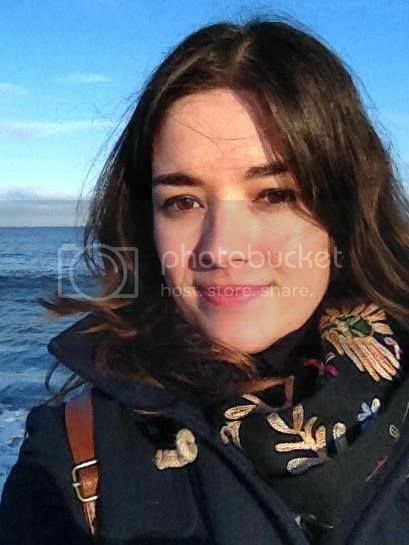 But rather than finding Rory in the midst of probably the most exciting time in her life career-wise, we find her pretty much drifting aimlessly, with nothing more than the one New Yorker piece and a few odds and ends to show for her accomplishments over the last decade. Quite a pile, I know. And they’re all very different types of book as well. Sometimes I see book blogs that are very centred around certain types of genres, but I’m not the type of person to read only a certain genre almost exclusively. I am interested in a wide variety of topics, which is reflected in the books that I buy. I’ve been meaning to read this one for years now, and I feel kind of bad about the fact that I still haven’t read it. But the fact that I’ve now got a copy means I’m 1 step closer to actually reading it. It’s a start. This book centres around Lady Jane Grey and her 8 day reign. Weir is famous for her historical non-fiction, but has also written a few amazing historical novels. I’ve read three so far and they were all great, so I’m pretty excited about this one. I’ve heard a lot of good things about this book, yet I’ve never read anything by Ghosh before. I mainly picked it up because it got good reviews and because I could get it so cheaply. Will definitely report back one I’ve read it. I bought these two books when I was in New York City at the end of April. I got both of them at The Strand. Okay, so I’m a huge Gilmore Girls fan, and I’ve recently rewatched all 7 seasons. Not only that, but I’m eagerly awaiting the revival that will air later this year on Netflix. And I’m not ashamed to say that my love for Gilmore Girls was my main reason for buying this book. I pretty much finished it on the plane flying back from NYC, and I LOVED IT. Lauren Graham is such a funny lady, which is definitely reflected in the books. Review to follow, so I won’t say too much about it now. But it’s great! As you can read in my review of Half of a Yellow Sun, I was shocked when I realised how little I knew about the Nigerian-Biafran War. Things Fall Apart is one of the many texts that Ngozi Adichie used for her research, and of course Achebe is a household name when it comes to African literature. So when I came across this book at The Strand, especially since I was in the middle of Half of a Yellow Sun, I just had to get it. And last but not least, these two books. I’ve been meaning to get this book for ages. It’s a much disputed concept within the field of linguistics about whether the language you speak influences the way you perceive the world around you. As someone who speaks several languages I am inclined to say that it has a definite influence on the way you view the world, but that’s just me. There are many linguists who would not agree with me on this. So yeah, I am really excited to read this one! Combine the Middle East and feminism and you’re pretty much guaranteed to pique my interest. I had never heard of her until I happened to stumble upon this title whilst browsing Goodreads. I read some of her backstory and immediately decided to order a copy. I got it in the post a few days ago, and this will definitely be the next book that I’m going to read! Have you bought any new books recently? Which you may have noticed already, considering the fact that I posted a book review recently. I never intended to stop blogging, and certainly not for an entire year, but it just sort of happened. At the end of May last year I started a new job, and it’s the first time in my life that I’ve had a full time job. It definitely was an adjustment period for me, and I guess I ended up in this kind of reading slump. 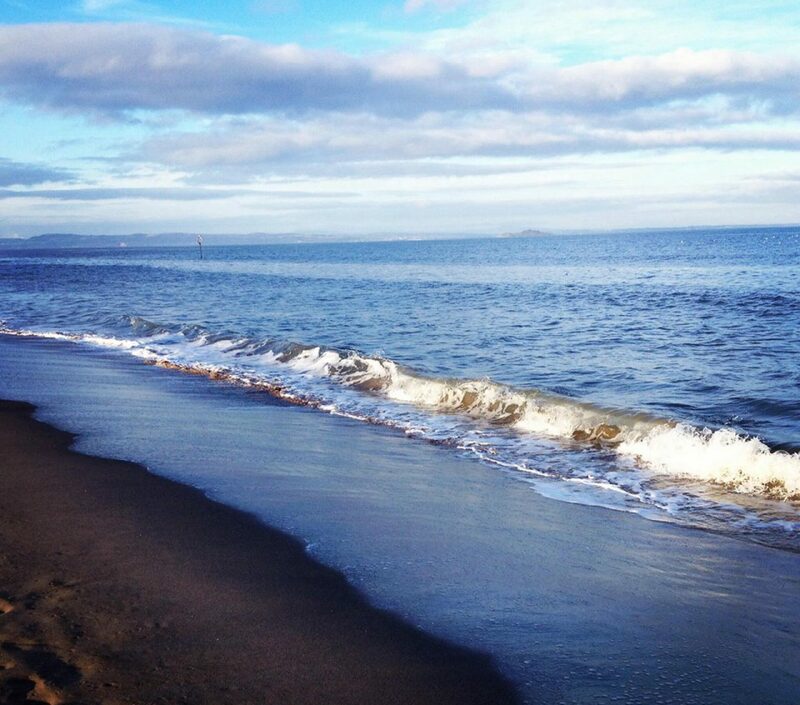 I often just didn’t have the energy to pick up a book and finish it, much less to blog about it. But now I finally feel like I’m getting back into the swing of things, and I really want to commit time again to reading all the books that I have on my tbr pile and share my thoughts with you all. Once in a while you come across a book that will stay with you for a long time after you’ve finished it. Half of a Yellow Sun is one of those books. Even though its subject material is heavy and complex, it drew me in and wouldn’t let me go. I started reading it on a long train ride from Lyon to Brussels. By the time I’d arrived in Brussels I was well beyond 200 pages into the book. The next day, on our flight to New York, I read another big chunk of it. I finally finished it a week later on our flight back. It’s very intense reading material and I must admit that I’ve had a few bad dreams because of it, but I just had to finish it. What makes this book so good is a combination of a fascinating, though at times gruelling piece of history that’s not often written about, but above all it’s Adichie’s beautiful writing style. From page 1 it just grabs you and keeps you wanting more. Apart from telling a family’s story, it also tells the story of a tragic and short lived nation, that barely had the chance to ever really begin. Biafra is a word that, for most people, will always be connected to the notion of famine and conjures images of emaciated children with swollen bellies. But most people don’t know the story behind these images, are not aware of the conflicts that preceded and ultimately led to that situation. Even though I love history and would consider myself to be reasonably well read, in this instance I, too, belonged to this majority that didn’t really have a clue about the tragic history of Nigeria and Biafra in that early post-colonial period. This is why I feel this book is so important, not just as a work of fiction, but as a way of making a reasonably unknown period of history accessible to a large number of people. It has made me interested in a country that I had previously known very little about, and I am sure that I will be reading more about Nigeria sometime in the future. I would definitely recommend this book to everyone. In this feature I showcase books that remain on my shelf, unread and impatiently waiting to be picked up. It’s been a while since I did one of these, but unfortunately the number of unread books on my bookshelf hasn’t really gone down. This isn’t because I haven’t been reading but because, in spite of all my best efforts, I keep buying new books! The book I’m showcasing you this time is one that, like so many, has been taking up shelf space for quite some time now, and gives me a sense of guilt ever time I glance at it in passing. I’ve heard so many great things about it, which is why I don’t really understand why I keep putting off reading this book. 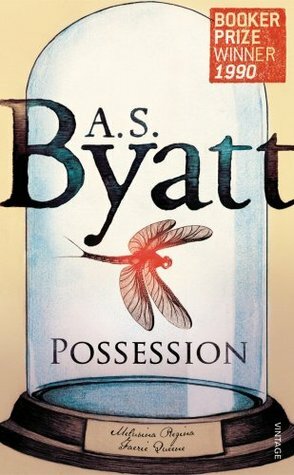 It’s Possession by A.S. Byatt. I’ve not read any of her work yet but like I said, I’ve heard a lot of great things about her writing so it should be good! So lately I’ve been trying to stop myself from buying too many books, and instead focus on the books I already own. I’ve been doing pretty well if I may say so myself and I went for months without buying any new books. But when I went to the Netherlands a few weeks ago to visit family and friends I have to admit I caved and ended up buying two new books. In my defence though, one’s a second hand book and the other one a Dutch book which would’ve been difficult to get hold of otherwise, so I feel that, in this instance, it was okay to buy new books. 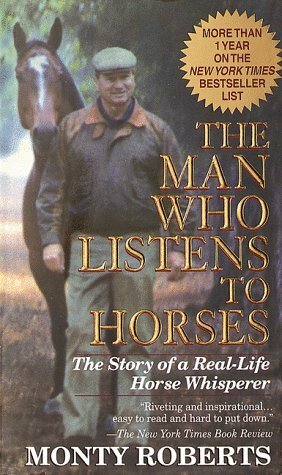 The first book I bought is The Man Who Listens to Horses by Monty Roberts, the real-life horse whisperer. I’ve admired him for years for the way he treats horses and the remarkable way he’s managed to learn the ‘language of horses’. I’m reading it at the moment and it’s so inspiring. I would love to buy a young horse sometime in the near future, and when I do I will definitely be using his method to train my horse. I bought this at the second-hand book market in the centre of Amsterdam, and I only paid €4 for it so it was a great bargain! 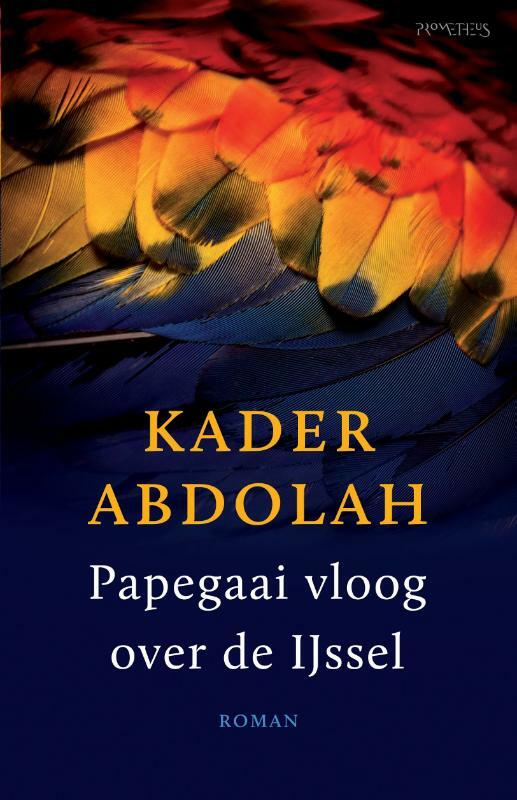 The second book I bought is Papegaai Vloog over de IJssel by Kader Abdolah. It’s his latest book and hasn’t been translated into English yet, so unfortunately I can’t give you the English title. A few months back I wrote a review for one of his other books, The King, which you can find here. I’m really looking forward to reading this new one, because so far I’ve loved everything he’s written and I’m hoping this one will be just as enjoyable to read. I’m really going to try to make myself read both these books before I even think about buying any new ones, so the next book haul might not be for a while yet (but who knows?). Have you bought any exciting new titles recently?